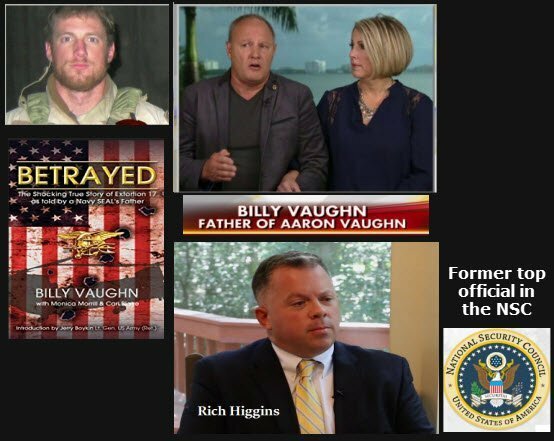 Gold Star Dad, Billy Vaughn, and National Security Council whistleblower, Rich Higgins know first-hand The Enemies Within the Deep State whose mission is to destroy President Trump and the movement that elected him – That would be US! Follow Unconstrained Analytics for more information from Rich. In the months following this devastating loss the Vaughns began searching for answers. What they learned was life-altering. They quickly came face-to-face with their worst nightmare…the downing of Extortion 17 was at best unnecessary and at worst, a negligent, reckless loss of life. Are we engaged in World War III? You decide! Next articleDid FoxNews submit to CAIR’s demands and silence Jeanine Pirro?